Unlike other presenter and broadcaster of BBC, Andrew Marr, Nick Robinson and Sarah Montague, George Alagiah also earned the same salary which is more than $170000 from BBC. George is living a lavish life along with his beautiful wife named, Frances Robathan. The couple is heading their blissful married life together with their two sons. So, today let us know about the broadcaster of BBC who earned a handsome figured amount. The couple, George and his wife Frances got married in 1984 after dating for exactly two years. The man good earning celebrate the ceremony of their wedding grandly with the presence of such high profile personnel. The pair is together till today since their marriage date. They are still not in any rumors about their divorce and having extramarital affairs as well. George respected his wife and equally care for her as he was grown up in the environment surrounded by ladies during his childhood as he is the only son among five kids so, he knows how to respect the ladies right from his childhood. The couple seems to share a great bond between them and hope to see them happy as now in the coming future as well. The two fascinating couple did not limit their love in themselves so decided to share to their young one as well so they welcomed their two sons named, Adam and Matthew. Adam is their eldest son who is 4 years older than his little brother Matthew. The family completed after the birth of the two children and moreover, the children are also close to their parents and are heading their cherished life together. His words clearly explained that his children are really cool and amazing at the same time. Since 1989, George joined BBC after leaving his previous job in several places. He appeared as a foreign correspondent and became one of the leading by reporting the globe events from the genocide in Rwanda. The dilemma of the Marsh Arabs in the southern part of Iraq to the civil wars in Somalia, Afghanistan, Sierra Leone and Liberia including others. In 2002, he appeared as a presenter in BBC Four news which was latterly announced as The World. Later on, she co-presented the BBC Six O'Clock News along with the co-host, Sophie Raworth till 2005 and after that Natasha Kaplinsky joined the show. Moreover, he also worked with the post of a deputy editor for the show, BBC One O'Clock News, and BBC Nine O'Clock News. 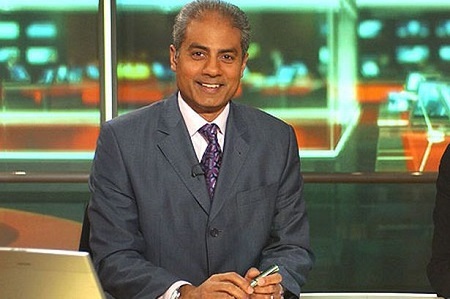 From 2006, he presented the World News Today on BBC World News and BBC Two as well. He is the specialist who took the interview of several legendary people including Nelson Mandela, President Robert Mugabe from Zimbabwe, former Secretary General of the United States, Nations Kofi Annan and Archbishop Desmond Tutu and so many others. George does not want to reveal everything to the public and the media. He also seems less in public with his family. He might not feel comfortable in disclosing his private life to the media. So, is hiding most of the things from the public. So, is hiding most of the things from the public. The great presenter or broadcaster might have a net worth in million as even a simple editor and reporter has a salary of $25000 then it is sure that his net worth might be more than that. George earned more than $170000 as a salary from which he and his family are having a lavish lifestyle. 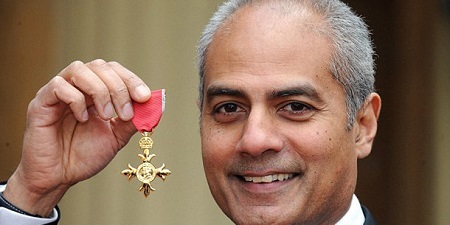 Born on 22nd November 1955 as George Maxwell Alagiah in Colombo, Sri Lanka. Raised by parents, Donald Alagiah (an engineer) and Therese along with his four siblings. His parents along with him moved to Ghana, West Africa. Finished his primary schooling from the King International School. Attended St John's College in Portsmouth, England. Studied politics in Van Mildert College, Durham University. During his college time, he worked as an editor for the student newspaper named, Palatinate. Before joining BBC he was engaged with South Magazine since 1982. IN 1989, he joined BBC and began working as a foreign correspondent. Awarded by BAFTA Award for their coverage of the Kosovo conflict. Won many prestigious awards like Amnesty International UK Media Awards, Royal Television Society Award and others. Earned more than $170,000 from his post in BBC.